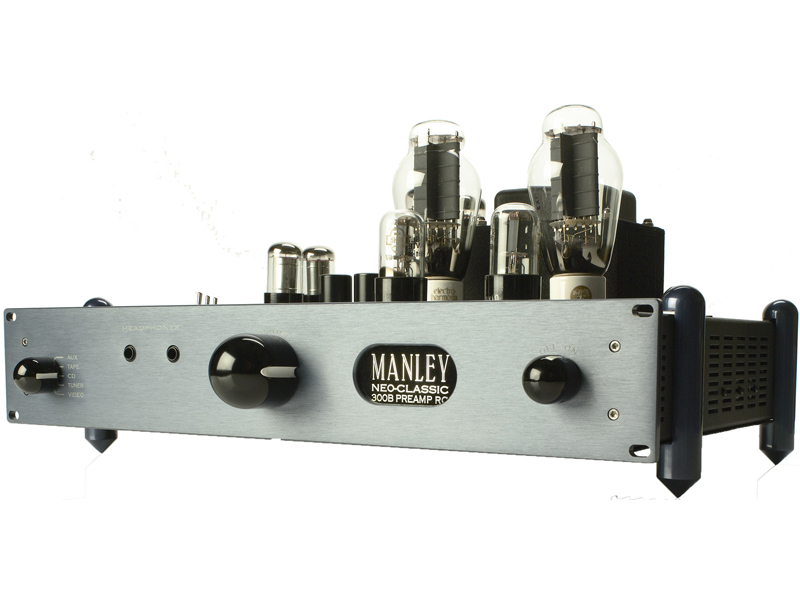 An esoteric design, we combine the lovely 300B tube as the output driver with the classic large octal-based 6SL7GT for the input stage - all triodes running in pure Class A operation. Innovative ripple rejection circuit furthers the quest for low-noise amplification - especially critical for headphone users. 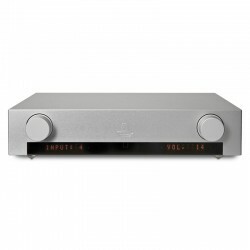 I/O set includes five line inputs, tape output, subwoofer output, two line RCA outs and headphone 1/4” jacks. RF Remora Remote control included. 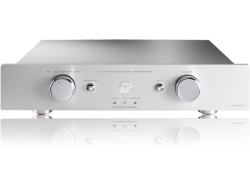 The audio tube complement runs in class A and is comprised of a large octal-based 6SL7GT input driver and one 300B triode per channel. 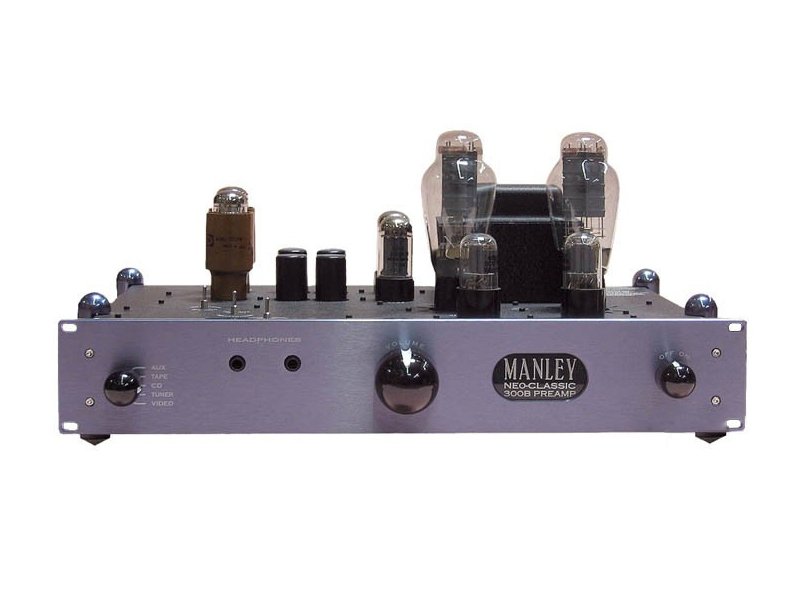 The B+ supply employs a pair of 5AR4 (GZ-34) rectifier tubes driving a proprietary ripple-reducing circuit to remove all remaining AC ripple. The plate supplied for the 6SN7GT's are regulated by the mercury vapour OD3 tubes. 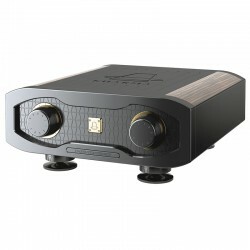 The power supply is very stiff, with plenty of capacity, very quiet (claimed signal-to-noise ratio 105 dB 20Hz to 20kHz) and totally free of vibration. 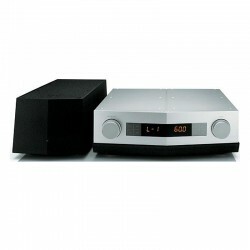 I never experienced any radio frequency interference or grounding problems with this unit. 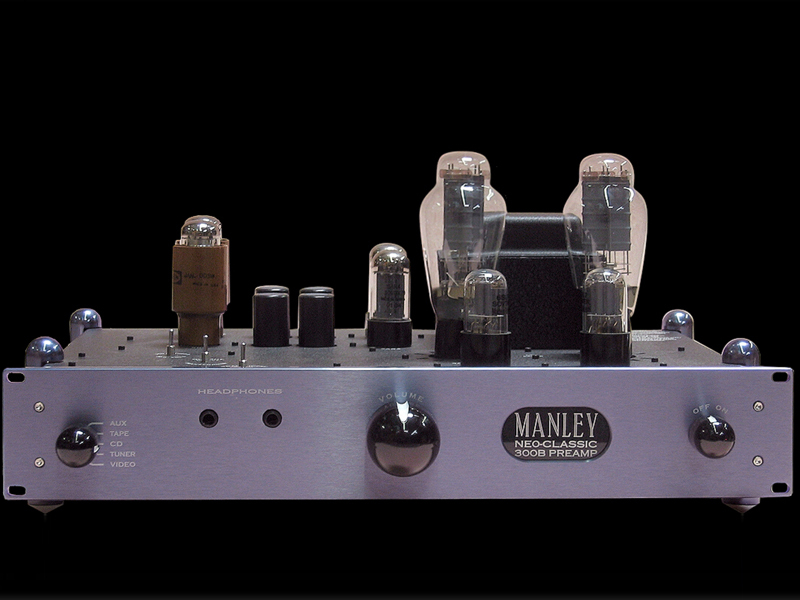 Manley Labs claim to have developed special ripple rejection architecture and I believe this to be true as this is one of the quietest pre-amps I have ever encountered. I don't use headphones but this would be a significant consideration for those who do. Gain is set at the factory at 18dB at maximum volume. Output power with 100 Ohm headphones is 1 watt or 10 volts RMS (28 volts peak-to-peak). 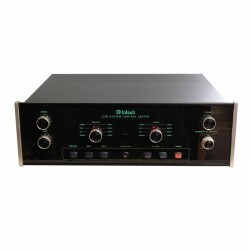 With 600 Ohm headphones this increases to 25 volts RMS and 70 volts peak-to-peak. The amplification circuit does employ some feedback which can be adjusted internally, if necessary, from 8 to 12 dB. Frequency response is claimed to be ±1 dB from 5Hz to 50 kHz. Although the power supply was designed to produce a rectified 500 volts DC, the plates of the 300Bs are run quite conservatively and the power tubes should see a long service life, perhaps exceeding 10,000 hours, especially when combined with the slow turn-on characteristic of the specified 5AR4 rectifiers. 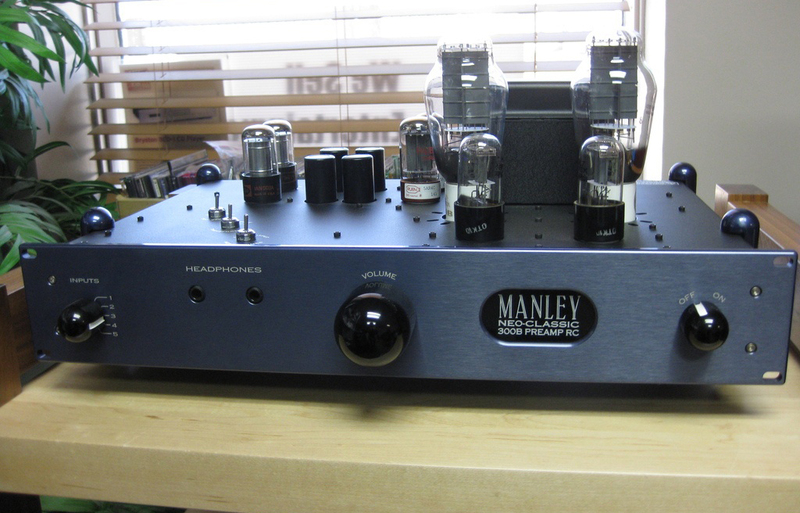 The Manley 300B preamplifier makes glorious music. 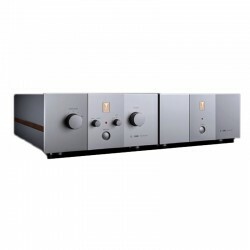 Considering the single-ended design and the choice of output tube it is remarkably neutral. Yes, a little soft but never out of control. 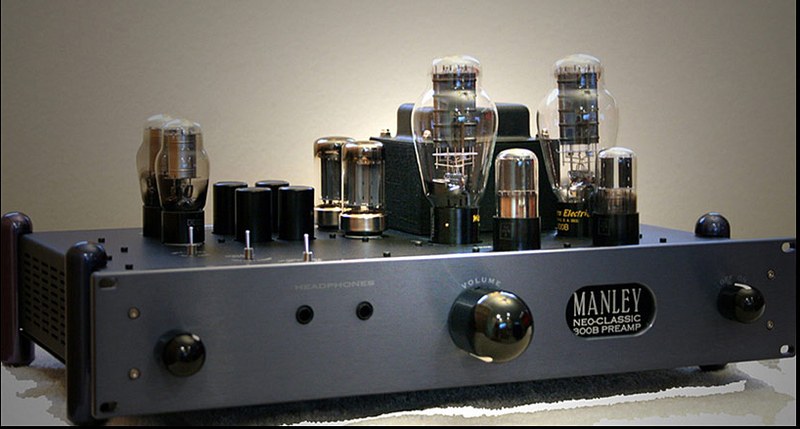 It is outstanding among other tube designs for several things: quality of materials and finish that imply longevity and value; a power supply with fortitude; a bit of retro whimsy that never betrays thoroughly modern performance; and more than a touch of valve glamour. Operating Mains Voltage: Factory set for 100V, 120V or 220-240VAC operation for original destination country's mains voltage. 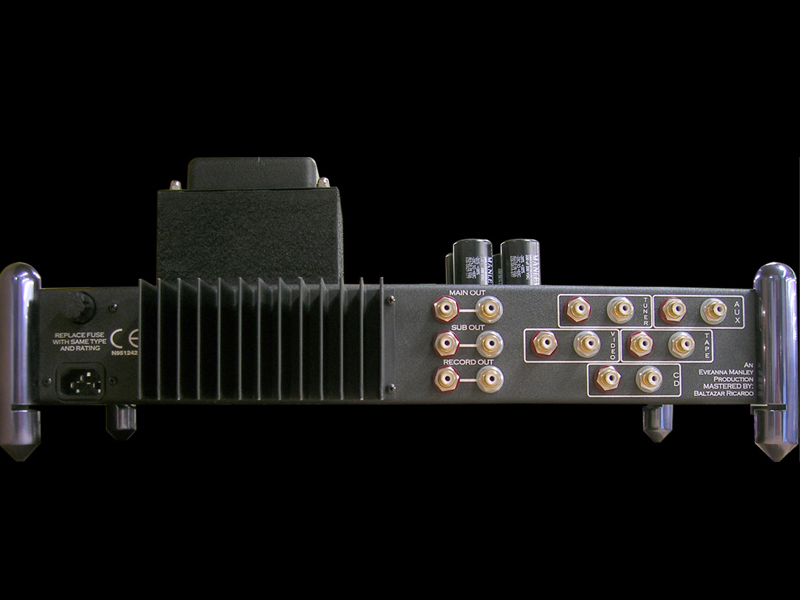 Operating Mains Voltage: changeable with power transformer re-wiring and fuse value change. 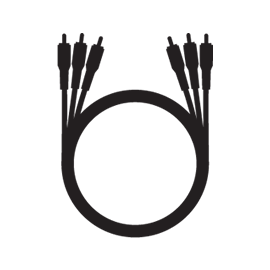 Dimensions: W=19". 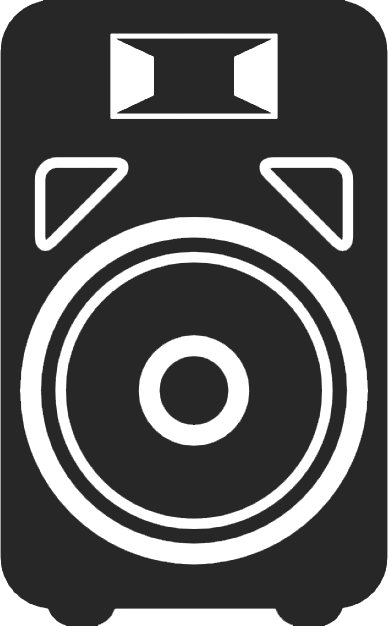 L=13". H=3 1/2"